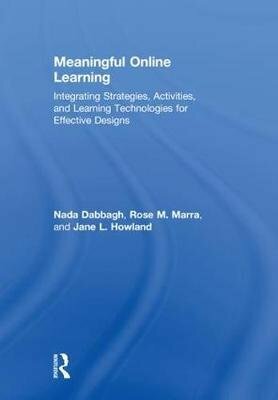 Meaningful Online Learning explores the design and facilitation of high-quality online learning experiences and outcomes through the integration of theory-based instructional strategies, learning activities, and proven educational technologies. Building on the authors' years of synthesized research and expertise, this textbook prepares instructors in training to create, deliver, and evaluate learner-centered online pedagogies. Pre- and in-service K-12 teachers, higher education faculty, and instructional designers in private, corporate, or government settings will find a comprehensive approach and support system for their design efforts.